There is a difference between having a “confidence bait” and a bait that you can have confidence in. A confidence bait is one that you throw all year long, the bait that you “go to” in tough fishing conditions, the bait that you wouldn’t go out on the water without. A bait that you can have confidence in is one that has proven itself to be effective in the field. There is absolutely no doubt that each of these baits work out on the water. It is also a pretty good bet that not all of these are confidence baits for you. You probably have confidence that these baits are a better choice under certain conditions. Take topwater for instance. A tube might be your confidence bait but if you are launching at “first light,” a topwater bait might be your first selection. So how about an entire product line that you can have confidence in? How many times have you gone to a lake to fish and have found a product line that was specifically designed for that exact lake? 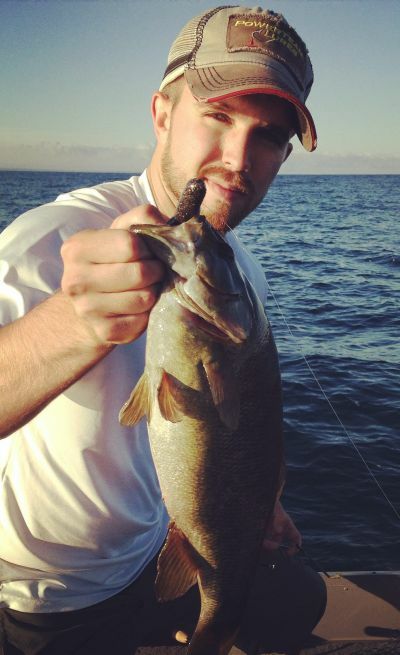 Xtreme Bass Tackle tubes have been developed for over 15 years in the testing laboratory that we call Lake St. Clair. Through field testing, the winners have risen to the top of the list of available tube colors, and the losers have gone by the wayside. 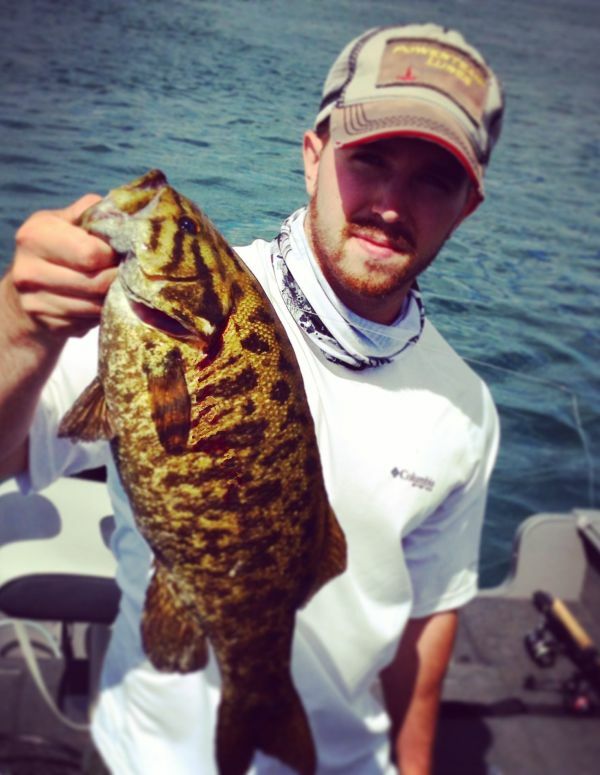 What you have left are baits that you can have confidence in when you fish Lake St. Clair. St. Clair Crayfish™ – Top seller since 2008, strong for smallies and largemouth. Can be used in conjunction with Canadian Mist as a companion bait. Active bite all year long. Good in shallow and deep water. Sand Craw™ – A sleeper bait that has been known to light up the smallmouth on the South Shore and at Strawberry Ridge. Works best around sand or sand/rock structure combinations. A solid second string alternative when your confidence baits aren’t being bit. Brown Craw™ – It is rising in popularity and tough to keep in stock. If you are targeting bass that are feeding on crayfish, this gives you another color to present to a school of smallmouth. The natural muted tone of the plastic is highlighted by small copper flake. Great Lakes Craw™ – A proven tournament money maker and a favorite of Bob “Jigger” Mann Sr, a Canadian fishing professional. The drop-shot version of this bait is strong for big fish. St. Clair Goby Classic™ – The tube that revolutionized the laminated bait industry by introducing color flake in the laminate. It still performs to this day and is known as a big fish bait. St. Clair Goby NFT™ – The gobies have changed in color and this redesign “matches the hatch.” This bait is almost impossible to beat in either a drop-shot tube or a 4” tube. The highlight flake in the laminate is small purple. 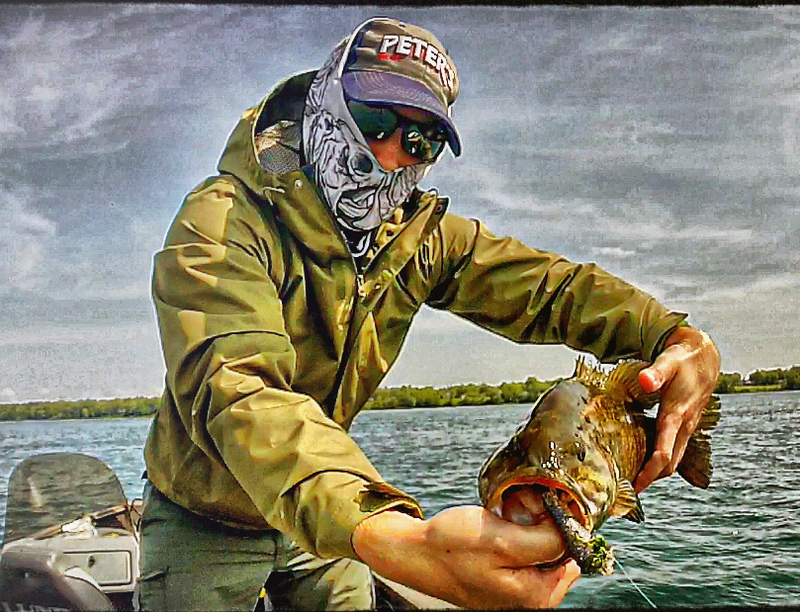 Erie Goby – This design that is based on gobies from Lake Erie is strong for schooling smallmouth on Lake St. Clair. The two top flake colors to have in a plastic bait for bass are purple and copper and this bait has both. Muskegon Goby™ – Although designed off of the gobies in Muskegon Lake this sister to St. Clair Goby NFT™ is very effective on Lake St. Clair in the morning. It has copper flake in the top whereas St. Clair Goby NFT™ has purple in the top. There are times when the bass will like one better than the other. Alewife™ – There has been a real shift in the way smallmouth eat on Lake St. Clair, and they have been driving schools of alewife to the surface. This bait was made to take advantage of that. Emerald Shiner (by Reaper Products) – This is the grandfather of the laminate bait explosion. It’s longevity speak to how effective that is has been. Great Lakes Perch™ – This bait design was two years in the making but it was worth it. Attention to detail in both the dominant and highlight colors in perch forage has made this a performer for catching big fish. It is one of the baits that you want to throw to hook up with big fish. Largemouth bass have an unusually strong appetite for it as well. Mayfly™ – This bait plays an important part in the story of the Lake St. Clair experience. The mayflies will come and change the bite for around a month and a half of a very short season. This bait was designed around the best elements the bass were looking for in emerging mayflies. As it turns out, it is a bait that is effective year round. Sweet Green™ – The blockbuster bait of 2015 out-fished everything else and continues to sell out due to demand. It has what smallmouth crave, and that is purple flake combined with a Formula G3 laminate and see-through green belly. Canadian Mist – This legendary bait has been the best seller of all time not because it is popular, but because it catches bass everywhere and anglers keep coming back for more. Use it on Lake St. Clair when conditions are at their worst or at their best. This color is known for drop-dead consistency! Formula G3™ (by Reaper Products) – This is the second best color of all time and besides being highly sought after by anglers in the drop-shot tube and 4” tube, has a real “big fish” bite on the 5” tube. Slither™ – In early spring and up until mid-June this bait fishes even stronger than Canadian Mist. The gold sliver flake embedded in the dark melon plastic makes it one of the most natural tubes in the melon family. It works everywhere. So by all means, take your confidence bait out on Lake St. Clair and have fun with the smallmouth in this world class fishery. If you stock up with Xtreme Bass Tackle baits that you can have confidence in, you can also load up the boat with an entirely new batch of smallmouth. Baits that smallmouth have told us prefer on this body of water. We were originally fishing the eastern Lake Erie basin but couldn’t seem to find the big ones we were looking for. With upcoming tournaments we figured it was a good day do due some scouting in the river. We didn’t have much luck at the usual spots but I had remembered the rough location of a rock out in the middle of the river. We used our electronics to locate it and never looked back. We caught 2-3 fish a drift… Basically all depended how long it took you to reel the last one in. Anywhere from 3.5 to 4.5 lbs. All in all we caught about 15 fish between 12:00pm-1:30pm in 14-22 feet of water. We only stopped because we had to leave. 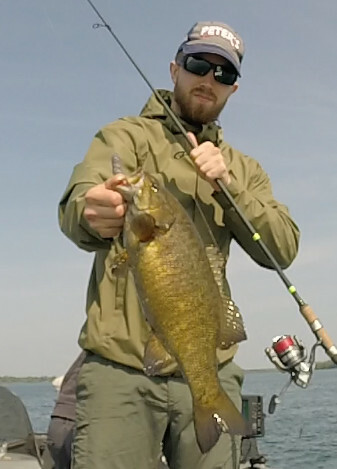 Canadian Mist and St. Clair Goby NFT™ tubes rigged on a 3/8oz jig were the ticket! Xtreme Bass Tackle Canadian Mist & St. Clair Goby NFT helped to make this good day into a great day! This bass opener on Lake St. Clair is sporting large numbers of catchable smallmouth and largemouth. In a year where many were predicting a late season after a long, harsh winter we seem to be right on schedule. By design, opening day is designed to coincide with the end of the spawn and the advent of the post-spawn period. That’s right where we are. Some environmental factors like weed growth and early migration patterns for birds have run behind. There are many spots that should have mature weed on them by now and they don’t. It hasn’t affected the bass though. Arguably, opening day is one of the most difficult to fish for high weight and this year is no exception. East winds over the last couple of days plus north winds this weekend haven’t slowed the bite down much. The numbers are there but some presentations like topwater might be weak for smallmouth. Water quality is good to excellent in most spots. Fishing pressure will most likely hit a new high this weekend. The normal array of large tournaments are in play but a good number of club tournaments from all over will fill the Lake as well. If you are fishing down river don’t forget to stop in at the Bait & Tackle Box on Jefferson and Grosse Isle Parkway in Trenton for your Xtreme Bass Tackle needs. You will see a new spot on your Marked Maps Live! reports…spot #99. We’ve added this as a catch all for area information that we gather that is not spot specific. The reporting has been picking up speed and we are just getting started. Watch the “News” section too for tips on what to watch out for in the current reports.